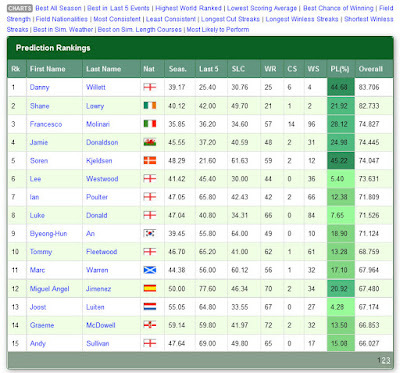 The predictions and statistics for this week, the Turkish Airlines Open (European PGA Tour) and the CIMB Classic (US PGA Tour), are now available on Golf Predictor. Both major tours are in Asia this week and like last year, the Kuala Lumpur Golf and Country Club, the home of the Maybank Malaysian Open on the European Tour for the past few years, is hosting the US Tour. 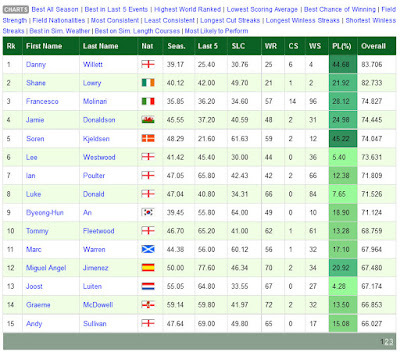 As most of the field is from the US Tour, course history from the European Tour events is not much of a factor. The European Tour heads back to Turkey for the fist leg of the big money Final Series and several of the big European names are teeing it up on the Colin Montgomerie designed course. There are a few bigger names than usual in the Malaysian event this year, so it should make for a good week of golf on the US PGA Tour. 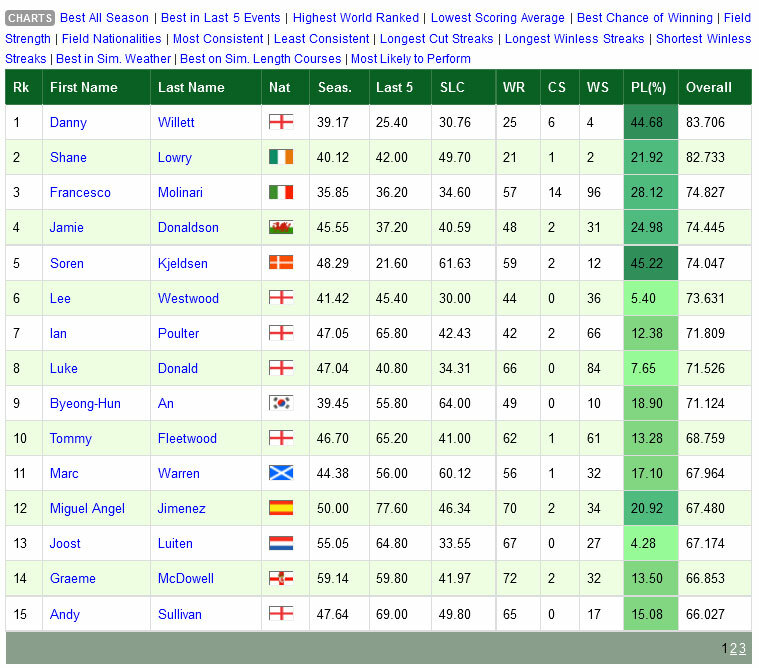 The predictions and statistics for this week, the British Masters supp. 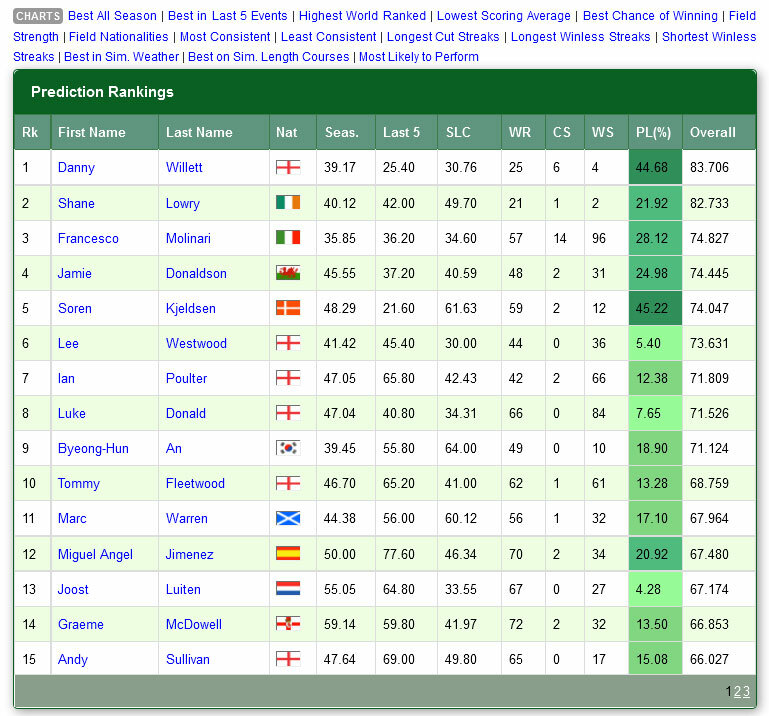 by Sky Sports (European PGA Tour), are now available on Golf Predictor. There is no event on the US PGA Tour this week as it is still the short close season and the Presidents Cup is being held. While the top golfers from outside Europe are duking it out in South Korea, there is another tournament revival in Europe. The British Masters returns to the schedule for the first time since 2008 and as a result, it is being well supported by the home contingent!